What is happening in the body with autoimmune disease? Understanding what is going on in the immune system with autoimmune disease helps us appreciate the steps we can take to support healing. Sarah Ballantyne, scientist and a leading proponent of the Paleo lifestyle, explains the incredible complexity of the immune system and the imbalances that lead to autoimmune disease in an easy-to-comprehend manner, even if your last biology experience was in high school! Learn the key players in the immune system that lead to autoimmune disease and how the intricate dance among them creates either health or illness. If you’ve ever wondered what is meant by Th1 and Th2 dominance, how autoimmunity starts in the body, and what is required to put autoimmune disease into remission, this episode will help! Sarah Ballantyne, Ph.D. (a.k.a. 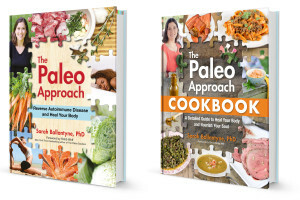 The Paleo Mom) is the blogger behind the award-winning blog www.ThePaleoMom.com, cohost of the top-rated and syndicated The Paleo View podcast, and New York Times Bestselling author of The Paleo Approach and The Paleo Approach Cookbook. Sarah’s background includes a Bachelor of Science from the University of Victoria, a doctorate degree in medical biophysics at The University of Western Ontario, and four years doing medical research as a postdoctoral fellow. As a scientist both by training and by nature, Sarah is deeply interested in understanding how the foods we eat interact with our gut barriers, immune systems, and hormones to influence health. She is also deeply interested in lifestyle factors like sleep, stress and activity. 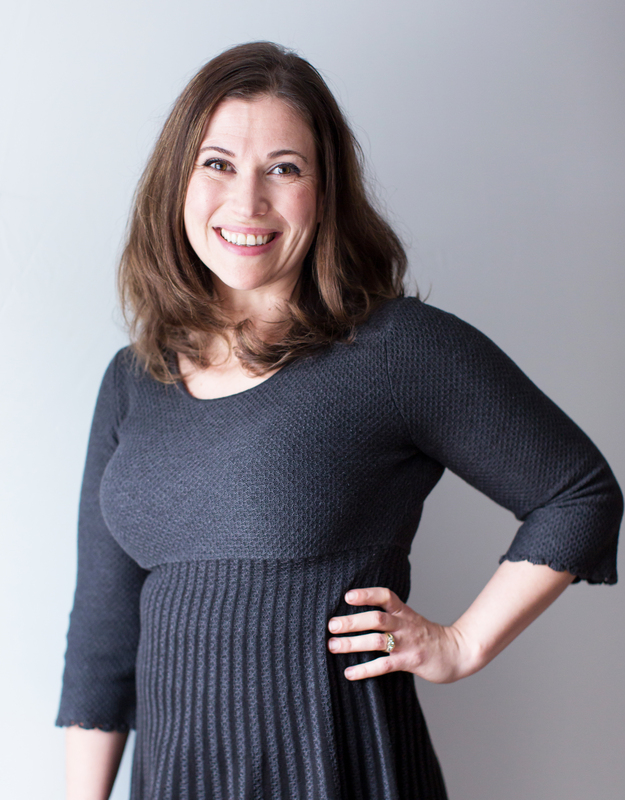 After her own health dramatically improved with a Paleo lifestyle, she is passionate about making the science behind it accessible to everyone. Sarah’s personal experiences with autoimmune disease have led her to be one of the top voices on healing through the Autoimmune Protocol. I highly recommend both of Sarah’s books! antibodies, biology, immune system. Bookmark. wow! that’s a lot of info. what would be the first thing to do to get started towards remission/healing? food allergies, vitamin deficiencies, sleep, stress and what else? what is gut health include? parasites? Do you have an episode on gut health? and what do I have to do to check food allergies and vitamin deficiencies? And do I need to know what t-cells or b-cells are on? I have Graves Disease. Can this auto immune disease be only caused by one thing or many things. Any web site suggested for Graves? I’ve been totally blessed finding your website. Thanks so much for all your help. Great questions you ask! Actually the next episode I’ll be releasing is also a conversation with Sarah where we go into more of what to do to get started. Stay tuned! Gut health has been talked about on a few different episodes, as it is a huge topic in dealing with autoimmune disorders. Check out Mickey Trescott’s episodes, Sarah Ramsden, and Anne Angelone in particular. No you do not need to know what specific T cells or B cells are involved in your particular autoimmune disease, though if you’re interested you could search what research has been done on Graves. Most autoimmune disorders are likely from a confluence of factors, which is why taking a lifestyle approach is so often effective – diet, stress, sleep, balancing your overall system, all will help you in many ways anyway! Since you have Graves check out the episode with Lisa Cooney, as she also used to have Graves. Thanks so much for listening and I’m glad you’ve found the podcast helpful!